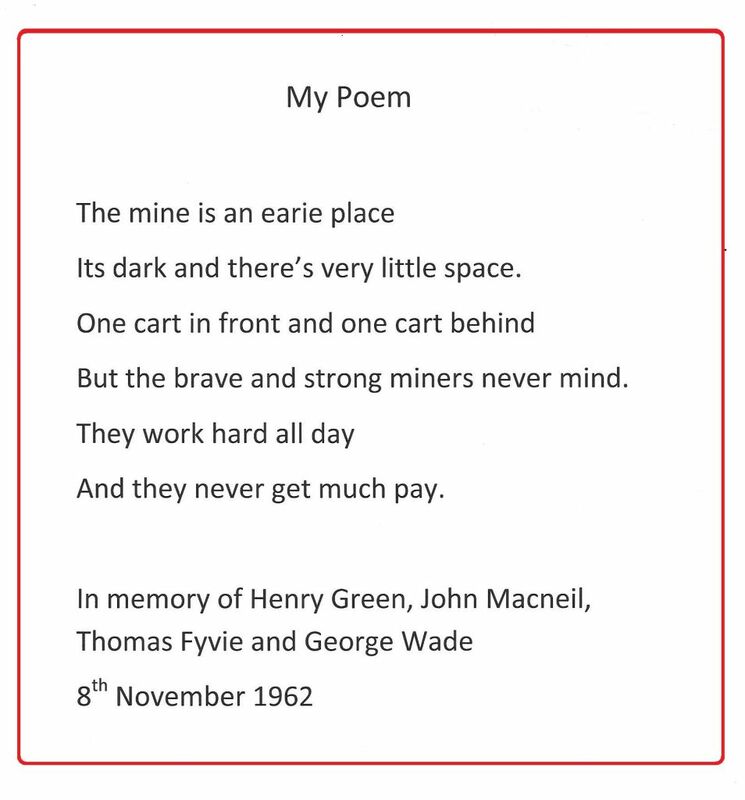 Over the last two years the Trust has been working with local community members, schools and a range of voluntary organisations to deliver a project to expand interest and use at the former colliery site. The project has seen the construction of considerable footpaths and cycle tracks, a cycle skills park for younger cyclists, installation of new items of memorabilia and interpretation, wildlife habitats and artworks. A big part of the project has been work with local schoolchildren and their teachers to produce a range of artwork which has been installed around the site plus an App which can be downloaded on smart phones by visitors to the site. 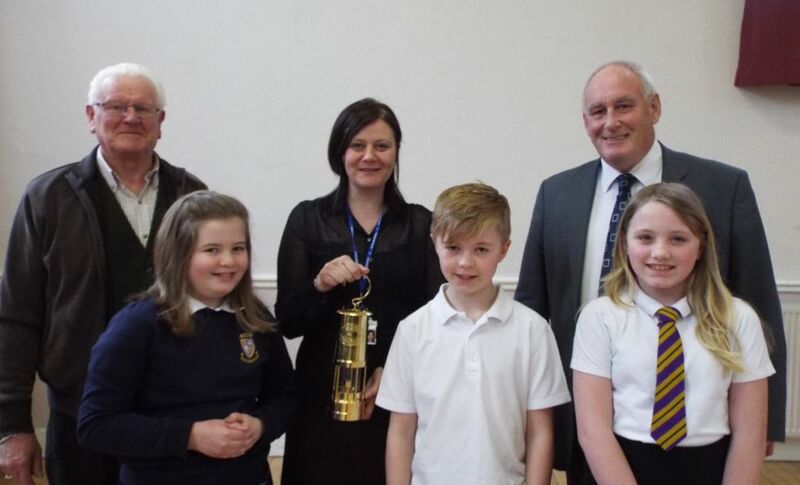 In response to public requests, the Trust decided to also run a competition to involve local children, through their schools, in the design of a marker for the location of 1 and 2 shafts. 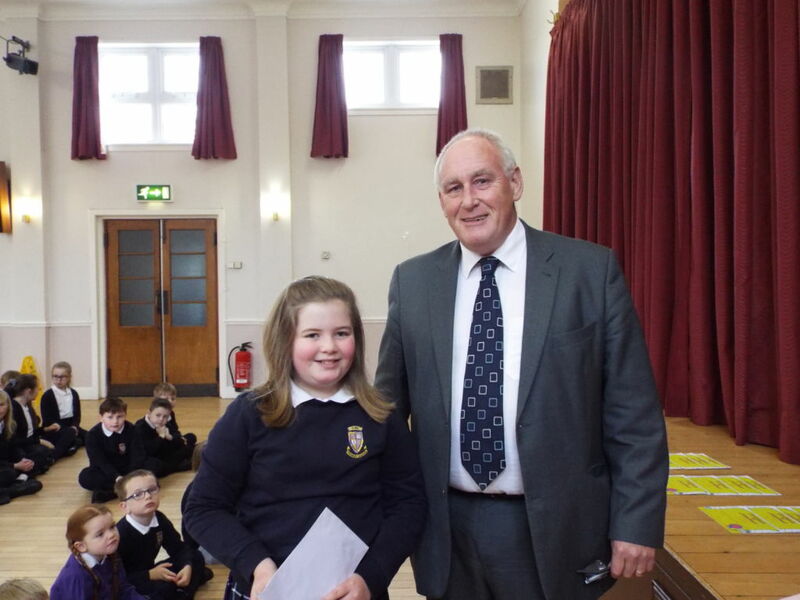 The competition was open to all Primary Schools in the area during March 2016. Several schools requested visits and guided tours of the site and subsequently entered designs for the competition. Photos of the pupils gathering information on site are posted in the Gallery page. 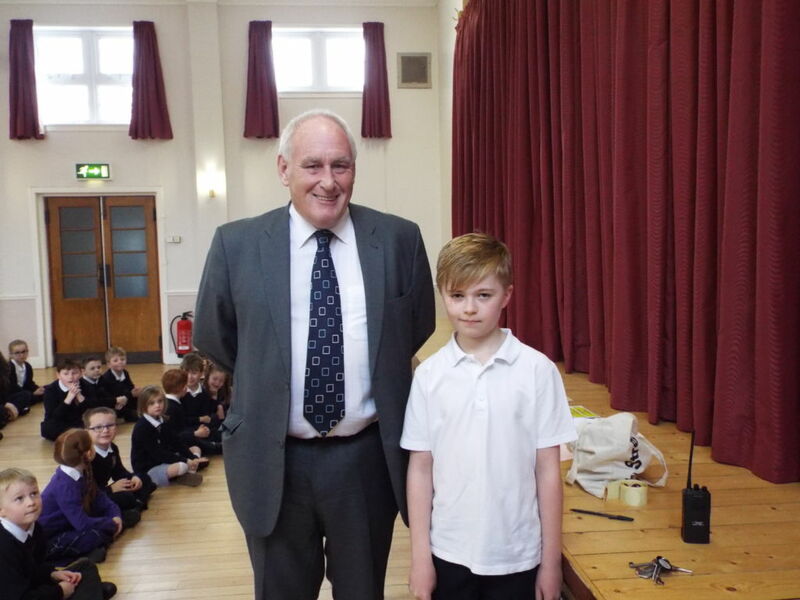 The Chair of the Barony A Frame Trust, Barney Menzies, presented the prize to the winner of the competition. 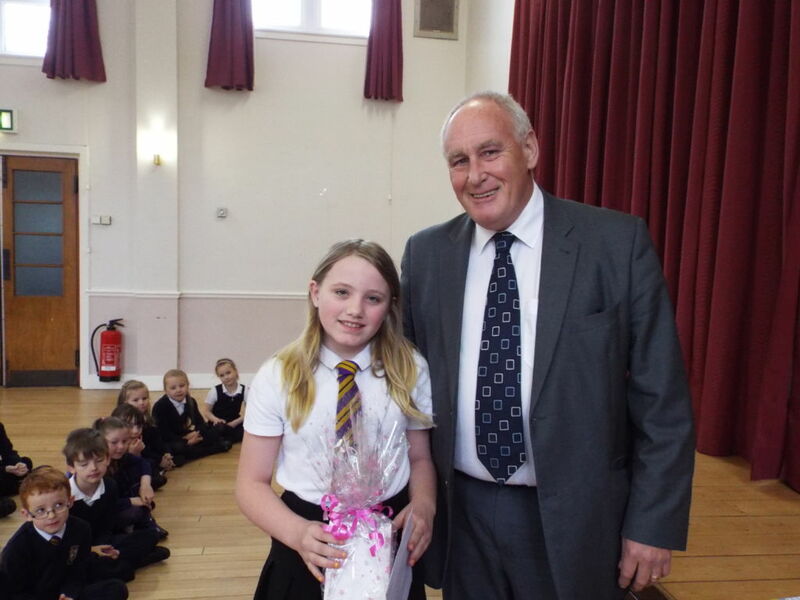 The winning entry was designed by Ashlyn Dobie, age 10, from Sorn Primary School. Ashlyn’s original design depicted a miner in the cage ready to go down the shaft to start his day of work. The Trust is currently seeking funding to construct the winning Marker and will continue to update on progress. 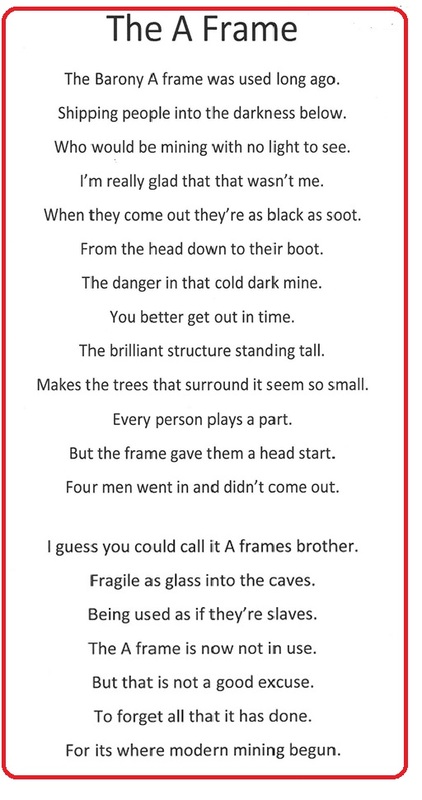 You should be very proud of your excellent work Ashlyn..
As an unexpected bonus we also received poetry written by some of the pupils of Sorn Primary School which we felt we had to share. (below) We have so much talent in our local area!! A big well done to all who took part.